Born in Meita, a suburb of Beersheva, Raz studied at a religious high school in Arad before enlisting. Early in her military service she proved highly-skilled, and in turn was promoted to Intelligence Corps officer. Later, as deputy platoon commander, Raz established two intelligence departments. During her service, Raz met the late Rabbi Menahem Froman and became close to the Froman family. Upon returning to Israel after living in South America, Raz was asked by the Fromans to help advance their work on coexistence in Gush Etzion. She accepted, and took part in founding Roots’ youth group, a combined Israeli-Palestinian youth movement that she co-directs with another university student and a Palestinian instructor. The group — 20 Israeli and Palestinian high school students determined to promote open dialogue and the free exchange of views — meets every other week, with interactions, Raz says, that foster real connections. 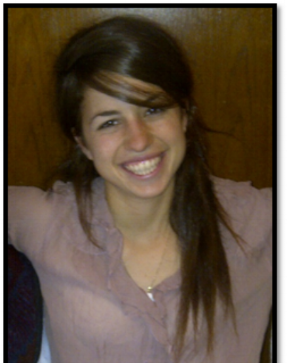 She currently lives in Jerusalem and studies Middle Eastern studies at Shalem College.